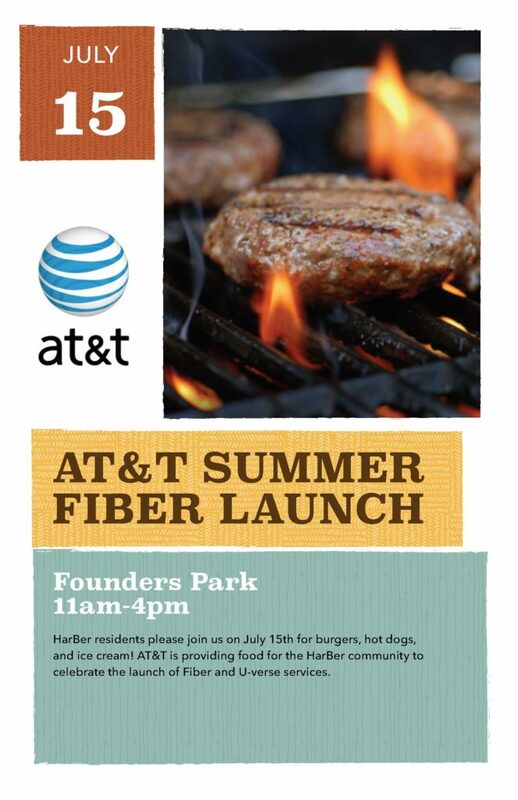 AT&T Summer Fiber Launch & Lunch @ Founder’s Park! AT&T will be cooking lunch for Har-Ber Meadows residents on Saturday, July 15 from 11:00 am. to 4:00 pm in Founder’s Park. Come join your neighbors for free hamburgers, hot dogs, and ice cream!